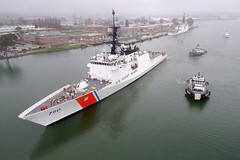 While deployed, the Coast Guard Cutter Bertholf (WMSL-750) crew will be serving alongside other DoD military forces, particularly the U.S. Navy. 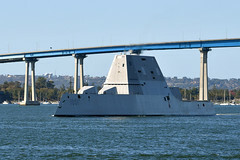 The Navy’s newest Zumwalt-class destroyer will be commissioned Jan. 26 at Naval Air Station North Island. 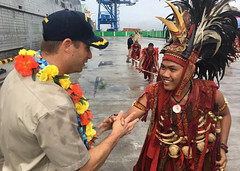 The ship’s crew hosted a number of ship tours and participated in various community events throughout the port visit on the island of Sulawesi. 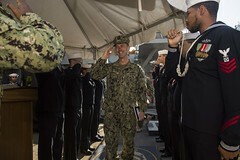 Sailors of various ratings and ranks sat down with the CNO, who spoke on topics such as current expectations and future goals for the region. 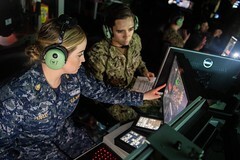 More than 40 crew members from the ship were the first to pilot the updated Advance Warfare Training (AWT) curriculum inside the new warfighting laboratory. 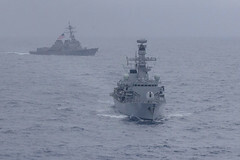 USS McCampbell (DDG 85) and the Royal Navy's HMS Argyll (F231) conducted operations together in the South China Sea, Jan. 11-16. 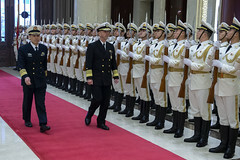 Discussions with senior Chinese defense officials focused on risk reduction and operational safety measures. 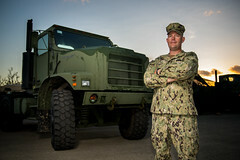 Chief Construction Mechanic Robin Nicely is among the Seabees supporting disaster recovery efforts on Tinian, an island his grandfather helped liberate during WWII. 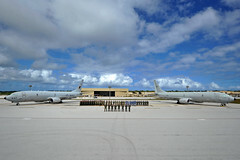 The exercise focuses on building anti-submarine warfare (ASW) proficiency and enhancing maritime patrol relationships in the Indo-Pacific. 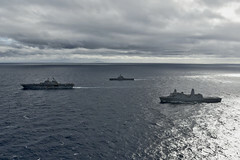 Ships with the Wasp Amphibious Ready Group joined the Japan Maritime Self-Defense Force's (JMSDF) JS Kunisaki (LST 4003) for a cooperative deployment, Jan. 11-12.